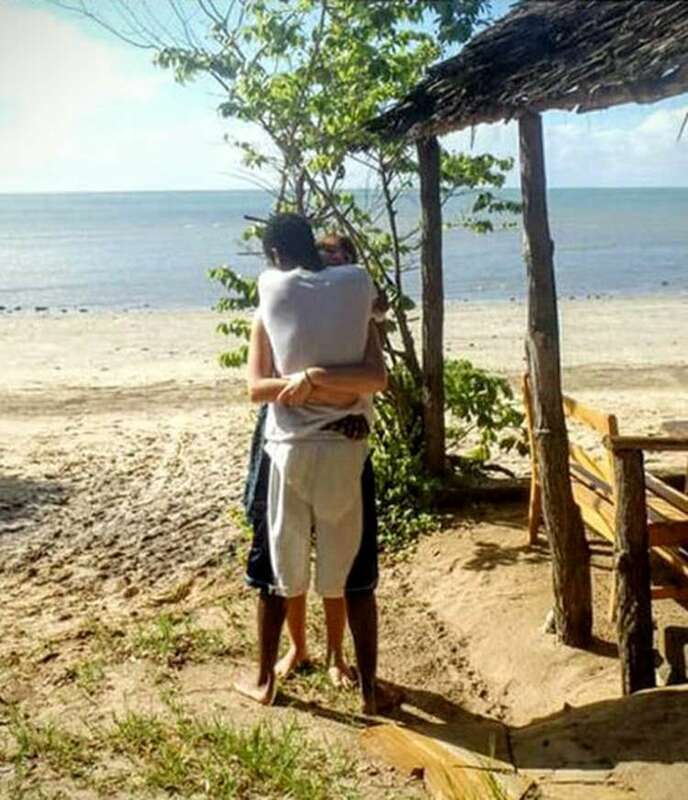 This photo of Couple Hugging on the beach is going viral on the social media! 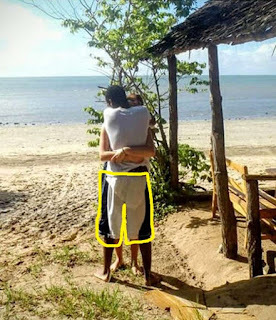 Photo of a Couple hugging each other on the beach has taken the internet by storm. Can you explain whose legs are whose ? The Guy is wearing Multi Colored Shorts which creates the Illusion.